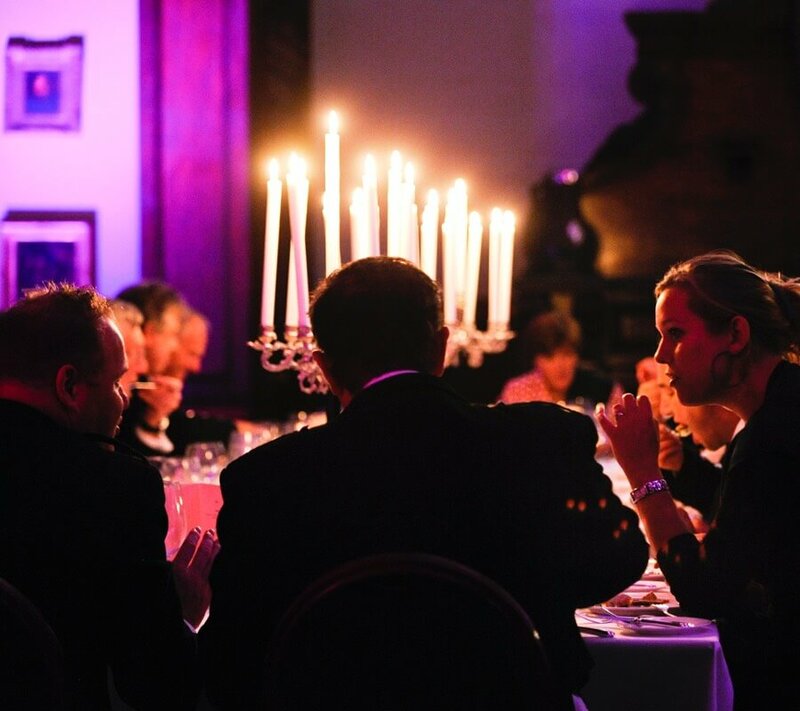 Whether you are looking for black tie grandeur or party informality, Gosford House can provide the back drop you need for your event, from a celebratory gala dinner to a BBQ for several hundred, we have areas inside and outside that suit all types of functions. When hosting gala dinners the large Dining Room can seat up to 100 guests on round tables, with options of 36 on one long banquet table or 60 on two banquet tables. Smaller dinners can be held in either the Octagon Room 48 on rounds or 20 banquet style. The Billiard Room can seat a further 48 guests. With the Octagon Room immediately adjacent to the main Dining Room larger, dinners could be hosted for 150 guests over the two rooms. For large scale dinners where guest numbers exceed 150 or require that number to be seated in one room marquees can be erected on the lawns adjacent to the house. You will still have access to the house throughout your event, as the house can accommodate up to 600 guests for a reception. Similar arrangements to the dinners can be offered, for less formal events more guests can be seated inside cafe style. Although the Scottish weather can be unpredictable lunches can be served on the balconies. 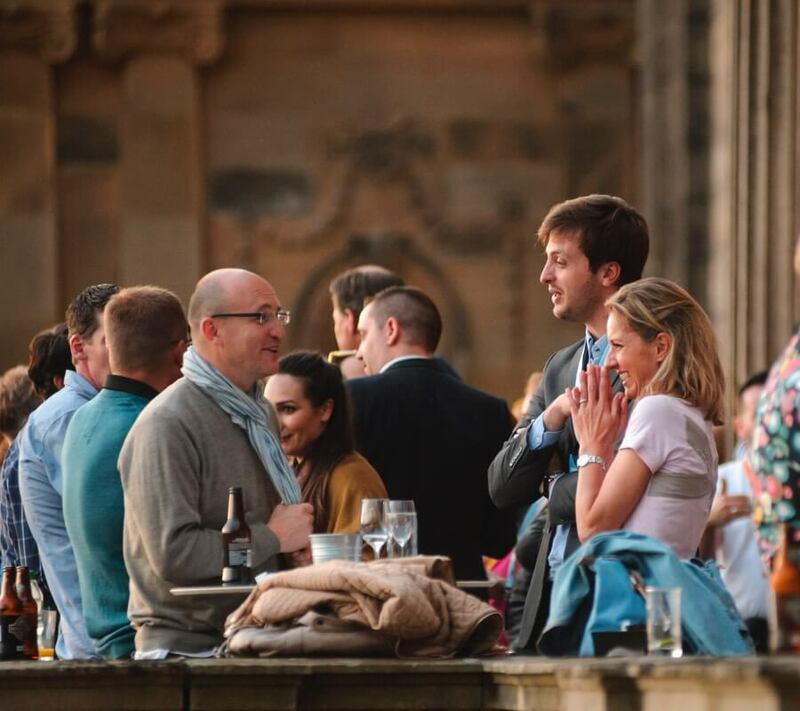 The west balcony has views across the Firth of Forth to Edinburgh and beyond and can host up to 100 seated guests. You are safe in the knowledge that if the weather did turn you have the ability to be seated inside. The house can host 600 plus with ease for a drinks reception with canapés or finger food – flowing through the Marble Hall through the Gallery and into the Billiard Room and Octagon Room and the Large Dining Room, with access to the lawns both front and back from the west and east balconies. 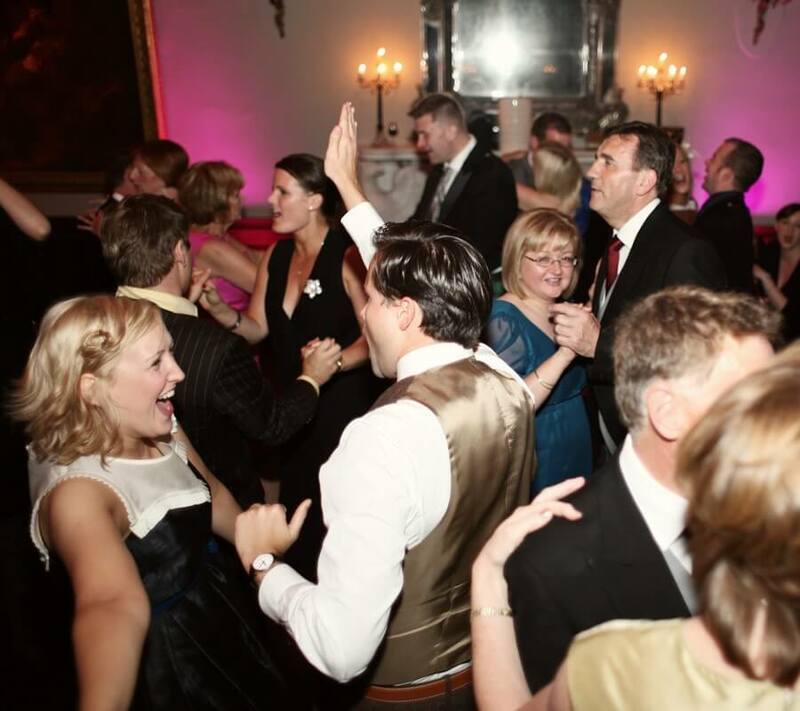 All ranges of private parties can be catered for, whether it is an anniversary or a birthday party. Please contact us for details.